Being a foreigner here in the UK, my only experience of village fairs is what little information I gleaned from Enid Blyton's books. So when my friend Sara urged me to check it out, I thought why not? I figured it's all part of the UK experience. Speaking of being a foreigner, I've been told off by Lil L and her friends for saying to-may-toes and ba-neh-nas. Every time I ask them if they wanted a glass of waa-terrrr, it sent them into peals of laughter. I've got myself a bunch of smarta$$ 5 year olds trying to give me elocution lessons. Geez. 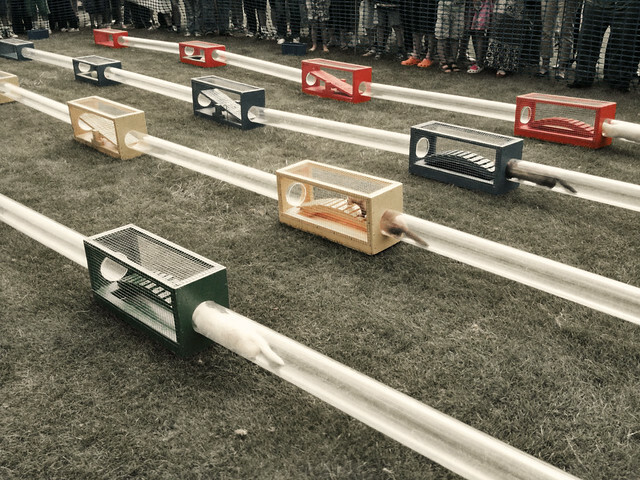 So here we have two foreigners, an American and a Malaysian-Kiwi entering into a village fayre (note the pseudoarchaic spelling) and the first thing we saw was ferret racing. Yup, you didn't misread the fine print. It's actually a charity group that is similar to RSPCA but looks after ferrets. Unfortunately, I didn't think of bringing my DSLR and had to resort to my ancient iPhone camera. 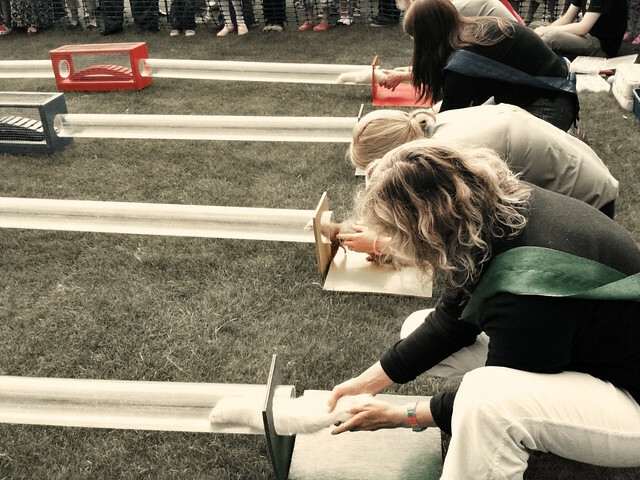 To raise funds for the charity organization, you're allowed to bet on one of these ferrets. It was pretty hilarious race because it took them an awfully long time to figure out that they were supposed to run through the tunnel right to the very end and back again. This is an AWESOME stall. Your boss pissed you off and you need to blow off some steam? Go smash some plates! This is rather tame after smashing a few plates. This spinning wheel reminds me of Sleeping Beauty. 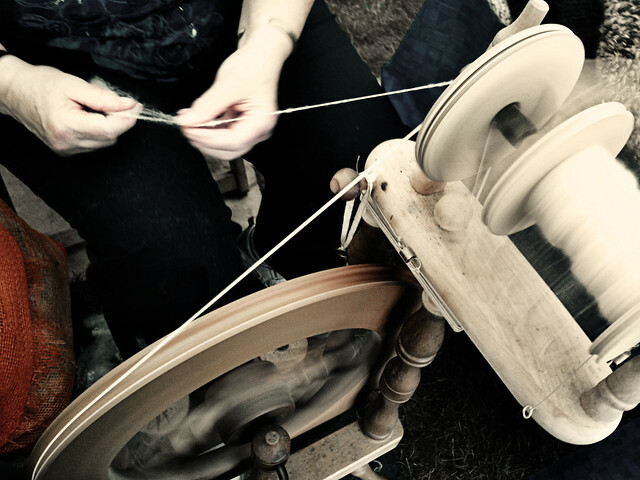 I later found out that the spinning wheel was custom made in New Zealand. Go Kiwis! Sorry, couldn't resist. 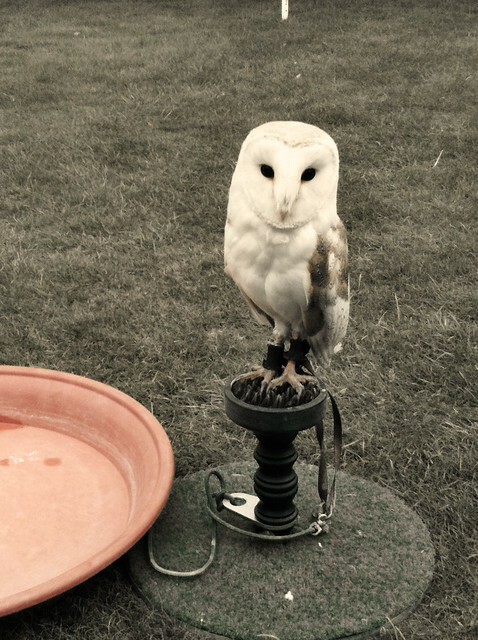 Doesn't this owl remind you of Harry Potter's pet? 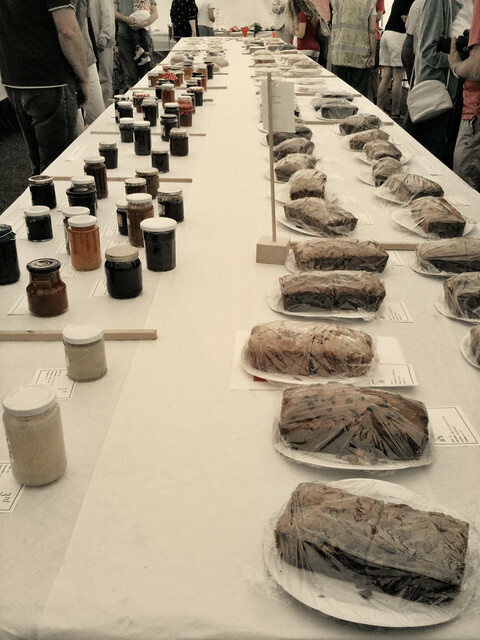 There's also cake, pumpkin, organic vegetable, cookie etc etc competition on a rather small scale compared to the ones held in the US. 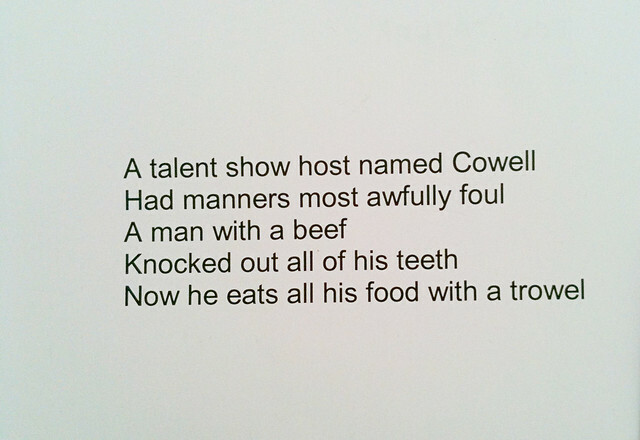 A poem about Simon Cowell from a budding poet. Oh, that's another for my small furry animal list, how adorable is that ferret? 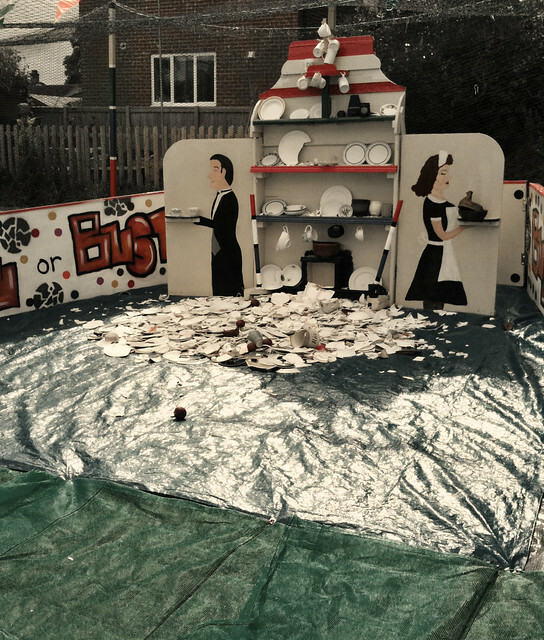 The fayre looks hilarious, completely archaic, I would have been giggling non stop. This looks like a hoot (no pun intended.) Sorry I have to be anonymous, I'm having trouble with my Google account. Anyway, I so need to visit the UK and you!! Fantastic - I love markets and the differences/similarities between those in various countries. It all looks rather Midsummer Murders... but I would live in that show if I could! ow the ferrets look so cute! adorable photos! Tabitha, I was told that ferrets behave like cats but are far more mischievous. 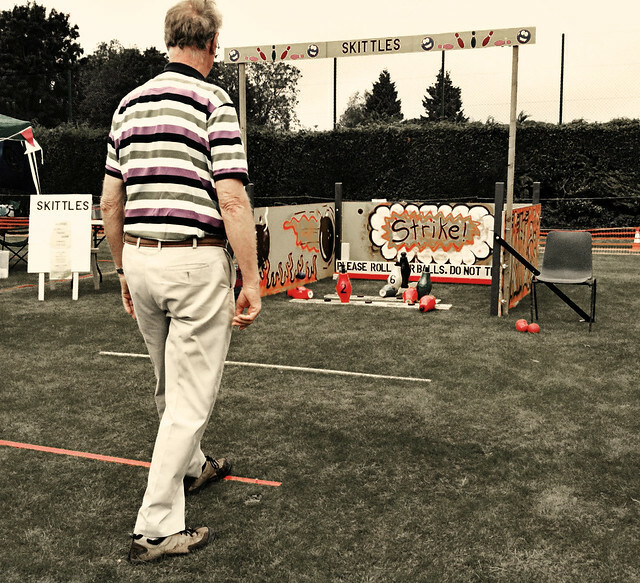 This was a completely new experience for me but it has definitely piqued my interest in fairs. LL, you'll definitely have to come! Can't wait! the taupe, same here. I love poking around at fairs and markets. LV, I think they're cute but I wouldn't want one to live in my house. Apparently, they love scavenging for food in the cupboards! I keep coming back to look at the ferret pics!! 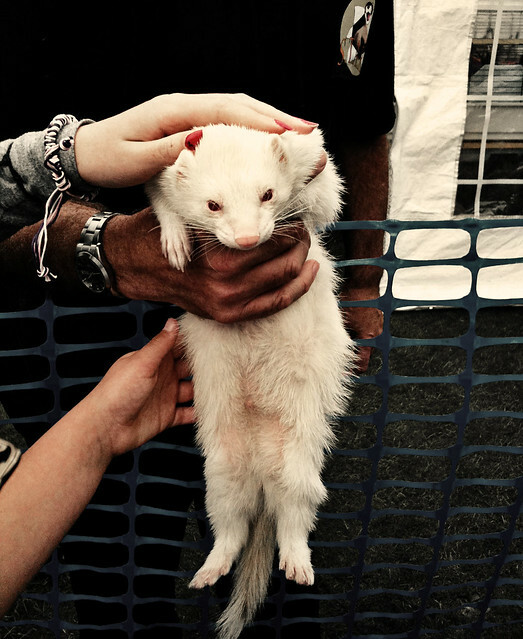 My kids loved the ferret photo (the first one) and now it's like "Mummy, I want a ferret in the house!" Great story. Kim, you're welcome to receive an elocution lesson from these little rascals. I-Ping, hahaha....good luck trying to dissuade them! I want to smash plates!!! I'm a new follower and am loving your blog. Stop by my blog sometime and say hi (and follow back if you're interested).